And two weeks have reluctantly passed, far faster than we thought. There were so very many great looking rigs that you all showed us in the comments. 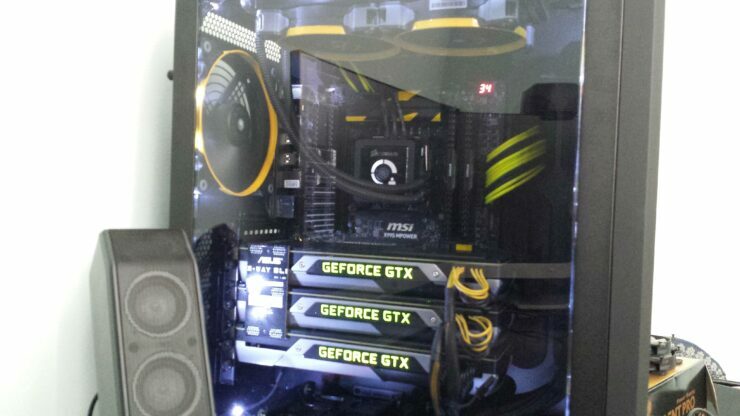 A tremendous amount of gorgeous PC’s that make us jealous. 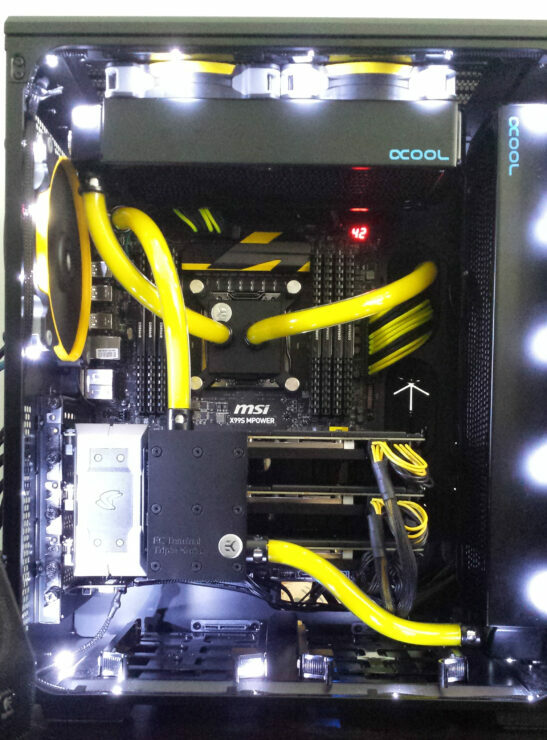 Fast, well put together and with cable management that could make anyone jealous. But we had to choose only one, and so thus we have. After much deliberation we’ve chosen the winner of our contest, the individual who has won the prize, a Razer BlackWidow Chroma. Who has the most ridiculously gorgeous rig of them all? A truly ridiculously gorgeous rig. This is certainly the most expensive build I’ve ever done by a large margin.. it may have gotten a little out of hand. It also holds my first desktop Intel processor ever. The first image is how it lived the first 6 months or so before doing the custom loop. I’m sure someone will point out the lack of effs given on cable management in the backside.. They normally can’t be seen and it’s tight back there any which way you do it. All the fans and pump are controlled with the bios and the SP120 have voltage step downs on them so I could get them nice and quiet. I didn’t go with the quiet editions because I liked that I COULD take the voltage step downs off if I ever wanted/needed to. 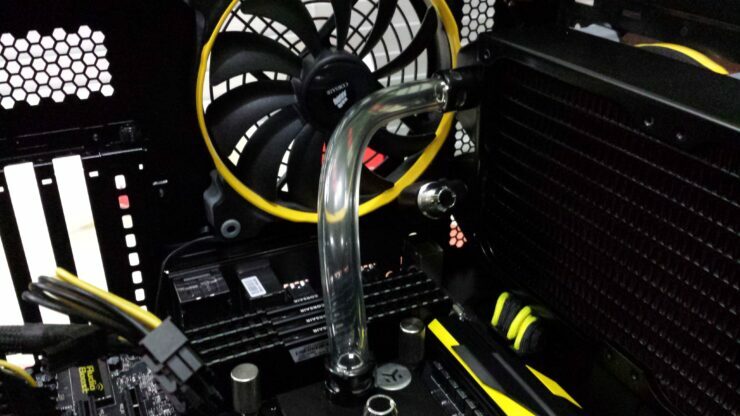 Everything is “off the shelf” except for the PSU extensions I made and the fan rings I painted. What’s your name (doesn’t have to be real), and what do you do? I’m Josh and I’ve been an automotive electronics installer for about 12 years. What brought you here to Wccftech? What do you mainly use this PC for? I guess I would have to say gaming, that is what it was built for, but it is my “everyday” desktop as well. I do some minor android tinkering so having a ton of threads and RAM for compiling android is nice(MUCH faster than my FX8350 and 8GB 1800mhz DDR3). How much have you invested in your PC? A full on new PC maybe once every 5-6 years. I’ll be hanging onto this one for a while, I have plenty of CPU and RAM but I’ll certainly be upgrading GPU’s in it a time or two. 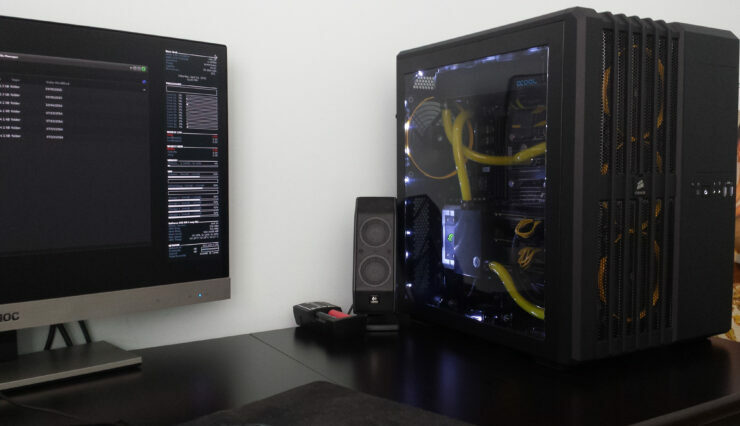 What are your future plans with this PC? A new PSU since the one I’m using is probably 4-5 years old at this point and has taken a beating. 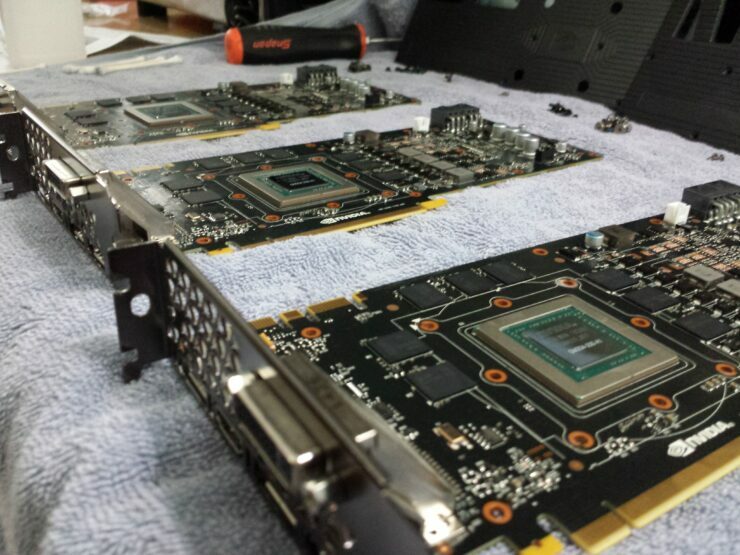 Then Pascal GPUs. Probably 3x whatever the consumer level flagship ends up being (GP100? 1080(ti?)). I went “cheap” with the 970’s because I REALLY needed new GPUs since the old 2x 580’s WERE NOT cutting it with the triple monitors but I knew I wanted Pascal come 2016. I want/need room for more radiators and I have a cube case fetish so I also plan to move the guts into a Caselabs Mercury S8, probably around my bday in October. 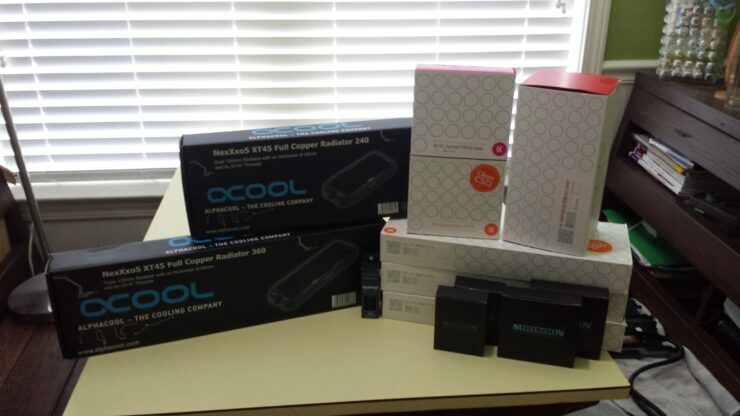 Water blocks – EK (nickel/acetal). So check your email as you’ll be receiving a confirmation email from us to get that prize!